For The Minion: Grab a yellow long sleeve tee, a standard pair of overalls, and some sneakers and you have your costume’s base. Easy additions are a white helmet and goggles, or if you want to go oversized, Jenna used the plastic rings that connect two bottles together, attached with a length of elastic. 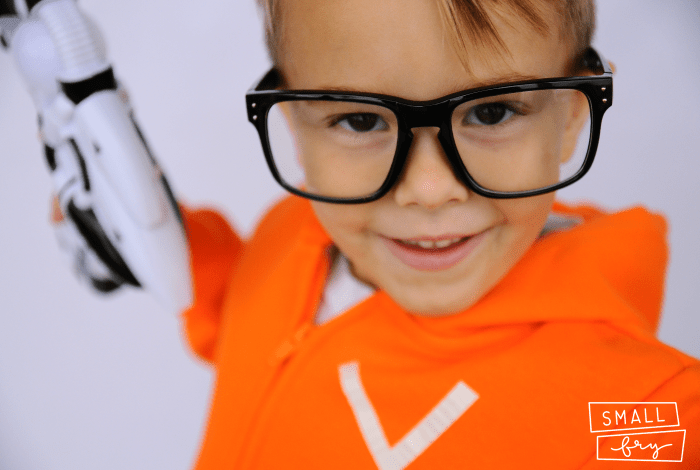 For Vector: Jenna ordered an orange hoodie with matching orange sweat pants. Stuff the belly with a small pillow or blanket for Vector’s signature pooch. 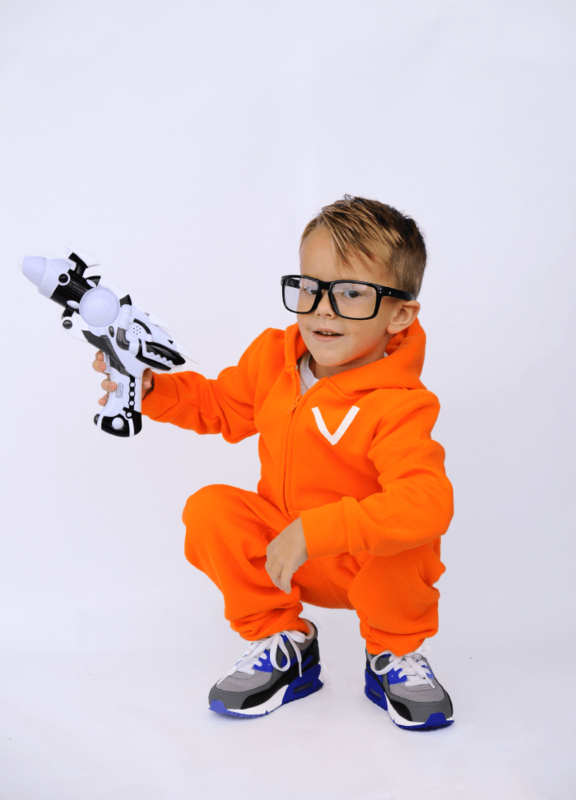 Add glasses, sneakers, a “V” cut out of white duct tape, and a laser gun and you’re all set! 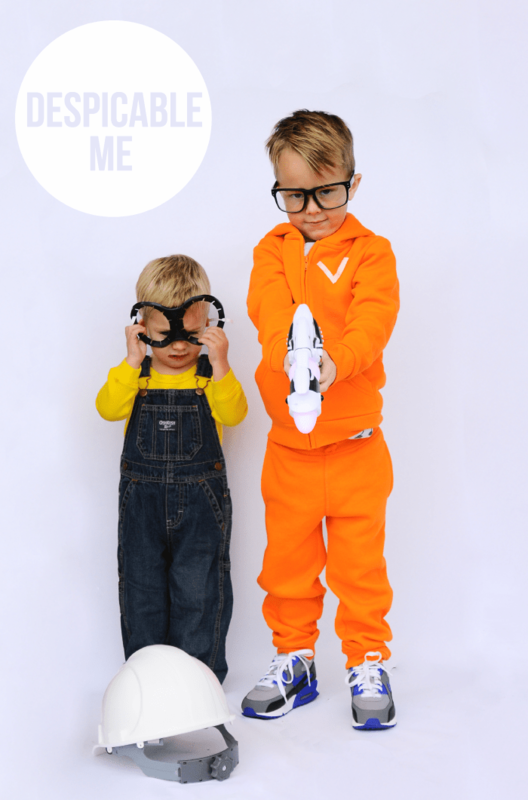 Thanks to Kid’s Foot Locker for supplying the boys sneakers for this costume! For more Halloween Costume Ideas check out our Pinterest Board! Such fun and simple costumes! Love them! Super cute! Recommending these to my sister for the kiddies!